The Cupertino company doesn't mess around when it comes to legal tangles. Monster, the audio accessory maker, just lost its MFi license for making Apple-compatible accessories. The company says its Made for iPhone, iPod, and iPad certification was revoked after it sued Apple earlier this year, and that Apple will not allow Monster to sell MFi-licensed accessories after September. While Apple isn’t commenting on Monster’s MFi license or the lawsuit, the Wall Street Journal reported that the company’s head legal counsel told Monster’s general counsel that the accessory maker would be losing its certification, and a spot on Apple Store shelves, because the lawsuit would “destroy the working relationship” between the two companies and that it wasn’t “mutually beneficial” to continue that relationship. The story behind the story: Monster in January accused Beats Electronics (and its new owner Apple) of wiggling out of a contract between the two companies. 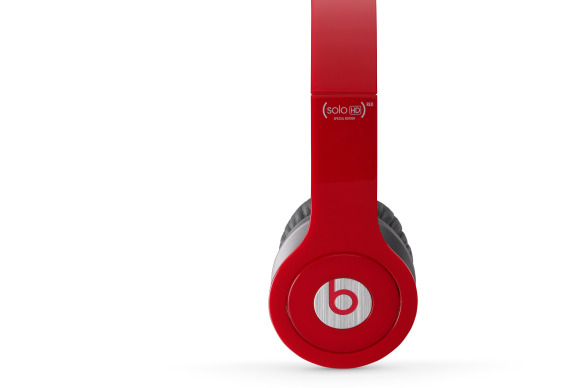 Beats cofounders Jimmy Iovine and Dr. Dre partnered with Monster in 2008 to develop the Beats by Dr. Dre line of headphones. Monster claims it handled all of the work creating, manufacturing, marketing, and distributing the Beats headphones, and in exchange was able to license the Beats brand. Then in 2011, HTC acquired a majority stake in Beats with plans to put the company’s audio tech in its phones, which Monster claims Iovine and Dre used to invoke a change-of-control clause that allowed Beats to sever ties with Monster and hold on to its ownership of the Beats by Dre brand, which Monster would’ve retained if the partnership had continued. None of this has anything to do with Apple, but the lawsuit effectively pitted the Cupertino company against Monster. The suit is still pending. Monster says its beef isn’t with Apple—the company just “inherited” the dispute between Monster and Beats. Therefore, as Monster’s logic goes, Apple shouldn’t take the suit so personally. But that ship has sailed. According to the WSJ, the loss of MFi certification will force Monster to redesign some of its products to take out Apple technology, and the company will have to remove the MFi designation from its packaging, too. The move is a loss for Monster, which has been an Apple partner for 10 years and designed 900 of its more than 4,000 products to comply with MFi standards. Apple will lose out on Monster’s licenseing fees, but that only amounted to about $12 million over the years—a drop in Apple’s bucket full of money. The Cupertino company does occasionally settle its differences with business rivals, that’s usually only when Apple really needs them (see: Samsung’s chips). Apple already has Beats, so don’t expect the company to welcome Monster back with open arms any time soon.